His mother described her son thus: “He goes into his brain, and then you just see he is in another world. He still does that. Now I just leave him be because I know he is designing a new rocket or something.” In childhood, it seems Elon Musk was a bit of a dreamer and a bit of an oddball. Famously, Musk grew to become the founder of Tesla and SpaceX, but his enterprises extend to the emerging home-battery market to store electricity from renewables and to solar roof tiles where he is producing energy-gathering panels that are attractive and functional. And he’s only 46 years old! Musk is an incredibly hard worker, and he has visions for new ways of doing things that most people wouldn’t even be able to imagine. All of this is amazing, but like many people who have great success, what you don’t see behind it all is the amazing string of failures that brought him there. Being a successful businessperson requires perseverance. 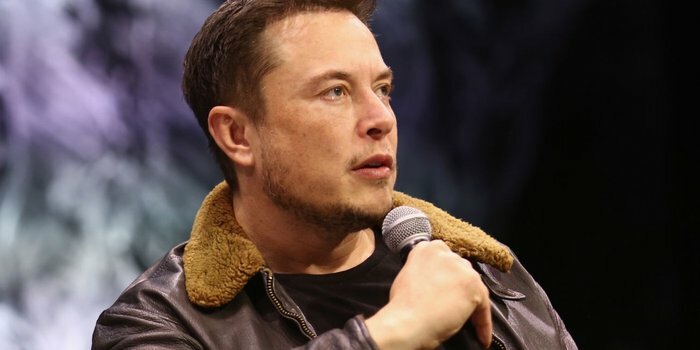 Whether you end up being the next Elon Musk or simply own a small business that supports your family, you are most likely going to face a string of hardships with successes in between before you finally breakthrough. This is normal. It’s the path most of us take. So it’s important to be prepared and mentally able to weather the storm. 1995: Unsuccessfully applied for a job at Netscape. 1999: First PayPal product voted one of the worst business ideas. 1999: Crashed his brand-new McLaren F1, worth a million dollars. 2000: Ousted from PayPal during his honeymoon. 2001: Russians refused to sell him rockets to send mice or plants to Mars. 2002: Russians turned him down again in founding of SpaceX. 2006: First SpaceX rocket launch — and his first explosion. 2007: Second rocket launch and second explosion. 2008: Third rocket launch and third failure; this time with NASA satellites onboard. 2008: Tesla and SpaceX on the brink of bankruptcy. 2014: Tesla Model S had more than one case of spontaneous battery explosion. 2015: Fourth rocket explosion at launch. 2016: Tesla Model X production delayed by 18 months. As you can see, this hasn’t been an easy path. Likewise, anyone who tells you that learning to be an entrepreneur is a breeze is lying to you. But Musk remained determined to make it happen. And that’s really what it takes. You can call it perseverance or grit. But the ability to stick with something, adjust your vision and move on when the going gets tough is one of the things that is common to every successful entrepreneur I’ve ever met. How to endure in the face of adversity. There are three things that I think really help to develop perseverance and resilience as an entrepreneur. First, you need to decide that you are going to make it happen and do whatever it takes. I know this sounds trite, but it’s important. The moment you start to doubt yourself and make an alternative “go back to work for someone else” plan is the moment you start to lose your ability to make it through the tough times. Secondly, you need to read books about other entrepreneurs. And these should include as many biographies as possible. A good biography will show you the journey that a successful businessperson took from point A to point B. And it will show you all the obstacles they overcame to get there. This can help you to stick to it. Third, you need to find people who are where you want to be and connect with them. Join forums or groups, check out your local meetups, and find the masterminds in your industry. And then listen to the older and/or more experienced people. By seeing how they have overcome their own obstacles, you can help to set yourself up for success. There are many traits to successful entrepreneurs, but one of the most important is perseverance. Following those tips can help you perverse the Elon Musk way.